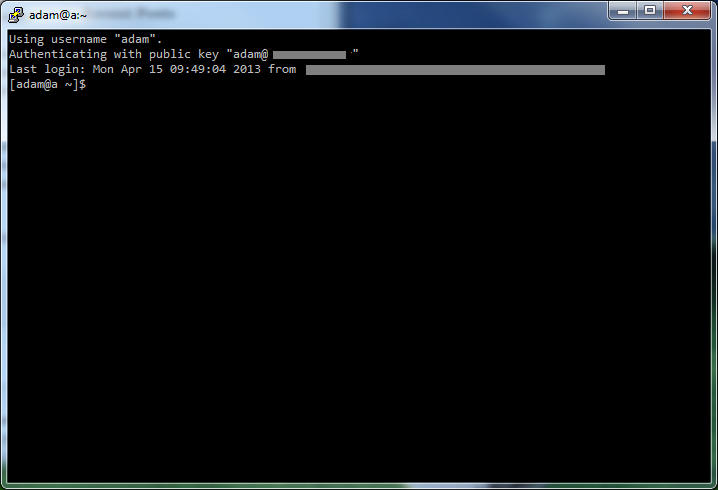 Long story short, the problem lies within my home directory being encrypted when I’m not logged in. Read below for further explanation. NOTE: Sometimes the “AuthorizedKeysFile” variable is commented out, so remove the number sign if it is (Thanks to Frank for the tip!). You’ll still need to make sure your public key is in /etc/ssh/publicSSHkeys/authorized_keys, and your SSH client (in my case Putty) is loading your private key. There are numerous SSH key tutorials on the webernets. Automatic home directory encryption is an option when installing Ubuntu systems (both desktop and server), and I recommend using it. I like knowing that, if I’m not logged in, my home directory is encrypted. However, this means that any server or daemon that requires access to a file or folders in your home directory will fail if you’re not logged in. Keep that in mind.